Protechting supports innovative startup projects in the areas of Protection and Prevention, Services (in Fintech and Insurtech) and Health. At Fidelidade and Fosun we believe and invest in the higher value of people. Sharing an entrepreneurial spirit and an innovate DNA, we aim to constantly improve and protect life and to support our customers throughout their lives. As we believe that entrepreneurship and technology contribute in finding new ideas and solutions, we created Protechting, a competition attracting startups and business ideas within Fidelidade and Fosun ecosystem. Winners will be awarded prizes. 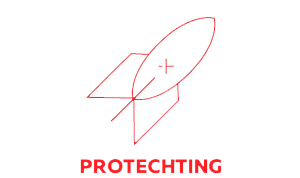 Protechting is a startup accelerator, powered by Beta-I, one of europe main entrepreneurship and innovation organizations. Protechting promotes a collaborative culture of innovation and challenges you to innovate. We are looking for groundbreaking solutions, especially in: Cyber Risk Mitigation, Robot Advisory, Costumer Analytics, Chat & Speech Analytics, Risk Analysis, Chronic Diseases, Telemedicine and New Distribution Models. Come and help us improve people’s lives. Projects that increase the protection of people and their belongings. Projects that improve customer experience in Fintech and Insurtech Services, increasing the level of satisfaction. We are searching for projects in the health sector (prevention and/or treatment), that significantly increase the families’ quality of life and well-being. Director at Multicare, Maria has an enviable career within the insurance industry, putting her in an excellent position to guide you and provide valuable industry insights. Executive Director at Caixa Capital, Stephan has 750 million under management. He will help you from an investor’s perspective, using his experience in dealing with money and numbers on his daily-basis. Co-founder of the first equity crowdfunding platform – Seedrs – Carlos is an engineer who is passionate about innovation who can help you out by sharing his valuable personal experience in Portugal and abroad. CEO at Luz Saúde Group since 1999, leading more than 10,000 employees over 18 health facilities, including the Hospital da Luz in Lisbon. With her vast experience in the industry, she can help you to identify needs and opportunities in the Health sector. CEO at Unbabel, a YCombinator raising star, Vasco disrupted the traditional translation process and, as a mentor, will be able to help you with machine learning and language of technologies as well as share his experience about building is own world class startup. Marketing and Clients Director at Fidelidade, Sérgio will be able to help you with your communication strategy and navigating your way within Fidelidade. Co-founder at Beta-i, Evolve Space Solutions and many other companies, Ricardo will be able to provide you valuable insights in different areas, including software engineering and business development, by leveraging on his vast personal experience as an entrepreneur.